Thibault is Co-Founder and Chief Marketing Officer at Solaris Offgrid, an innovative company that designs and manufactures Pay-As-You-Go solutions to foster affordable and sustainable energy access in off-grid areas. At Solaris Offgrid, Thibault has set up last-mile operations in Tanzania where our organization is having a growing impact up to date. Enlightened by this first-hand experience as an operator of PAYG services, Thibault now leads the department in charge of sharing our know-how, products and services to manufacturers and distributors/operators of systems from 10W up to mini-grids of 100KW. Prior to Solaris Offgrid, Thibault worked as a Consultant in Energies and Sustainability at ENEA Consulting where he advised several organizations such as Engie, Energy4Impact and Total in their access to energy activities. 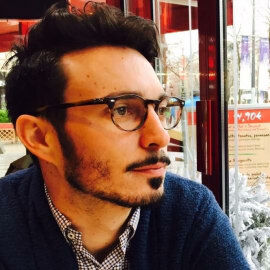 Thibault holds a BSc in International Business from NEOMA Business School and an Advanced Master in Strategic Management of Sustainable Development from SKEMA Business School.